Like many other types of machines, medical devices often come equipped with keypads so that the data required for their operations may be entered into them. For instance, keypads attached to hospital beds can be used to maneuver them and to weigh patients. There are several types of keypads and nowhere is the choice more important than in the field of medicine. Membrane keypads – the kind that have their keys embedded into the surface – are the absolute best kind for the purpose; five reasons for this will be outlined below. 1) They are the easiest type to keep clean. Keyboards and keypads of the conventional type have their keys protruding from a space in the surface. Dust often accumulates between the keys and it can be a real piece of work to clean them. With a membrane keyboard or keypad, on the other hand, you do not have to worry about this because the keys are embedded into the surface, thus eliminating the need to get into all of those “nooks and crannies” in order to get out the debris. With instruments that are to be used for medical purposes, the need for cleanliness is as absolute must. Obviously you do not want to have dirt, grime and germs to accumulate on the equipment that is being used in a hospital. That is where the membrane keypad comes in handy. More generally, these types of keypads resist dirt, liquids, oils from human skin and other sources of external contamination than are conventional keypads. Another reason for having anti-microbial membrane keypads is that they are easier to use for many people, who find that the touch is much easier on the tips of their fingers. Users of keypads with raised keys often develop blisters on their fingertips as a result of continued usage thereof. 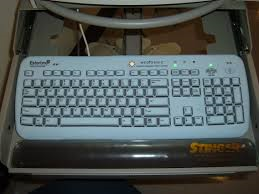 It is true that “blind typing” in the sense of locating keys by sense of touch alone is not possible with a membrane keypad, but some sacrifices do have to be made. Membrane keypads are also considerably cheaper than conventional keypads. This advantage is especially great when it comes to medical equipment because hospitals need to have as much money as they can to drugs, surgery and other means of curing disease, as well as to research into these kinds of things. A membrane keypad makes use of the latest developments in technology. It consists of a graphic overlay on which the keys are indicated, below which is a graphic adhesive and dome retainer to hold it in place, spacer adhesive with the upper and lower circuitry on either side, and backer adhesive. All are made of chemicals that both perform their functions perfectly and are safe to have around patients and employees. Technology is an element of utmost importance in making devices for keeping patients alive and well. They are easy to customize. They take up less space than other keypads, making them especially useful in areas where the amount of physical space is limited. Medical workers in general need to have plenty of space in which they can do their work. It is possible to integrate company graphics and logos into them. They tend to last longer than other kinds of keypads. The lifetime of one membrane keypad, which can be purchased at Alibaba, is given there as “one million actuations;” an actuation is defined as “the act of putting into motion.” In other words, this particular device can be used that many times. They can operate at a wide variety of temperatures. The one just mentioned can function in temperatures as low as -10°F or as high as 170°F. In hospitals the former property is particularly advantageous because many of the tasks that are performed there require very low temperatures for them to be carried out properly. Nicole Enwright contributes, on behalf of Pannam, http://www.pannam.com/membrane-switches, to a variety of tech and new gadget blogs to help users find the product they need.